Chad Kuhl is an American professional Baseball player who plays in the Major League Baseball (MLB). As of 2019, Chad Kuhl currently plays for the Pittsburgh Pirates as their pitcher. He was picked in the 9th round of the 2013 MLB draft by Pirates. As a pitcher, Chad Kuhl reportedly earns around $535 thousand as his yearly salary from Pittsburgh Pirates. Further, Chad Kuhl has an estimated net worth of over $1 million. Additionally, he is engaged with his girlfriend Amanda Debus. Chad Kuhl was born on September 10, 1992, in Bear, Delaware. He is American according to his nationality and belongs to the White ethnic group. Further, his star sign is Virgo. Kuhl attended Middletown High School in Middletown, Delaware, where he played as a pitcher of the baseball team of the school. In 2010 he was appointed to the All-Delaware team. He then enrolled at Delaware University, where he continued his career in baseball. As of 2019, Chad Kuhl has an estimated net worth of over $1 million. He reportedly signed a contract with Pittsburgh Pirates in 2013. Further, the MLB player has an average salary of $535 thousand annually similar to Ross Stripling. 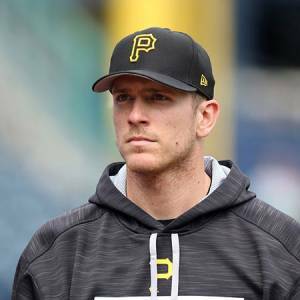 Chad Kuhl so far has made earnings of $1,336,794 from his entire MLB career while Corey Dickerson is one the highest earners of the team with overall career earnings of $11,106,274. In addition, he is one of the players who receive a salary as a pre-arbitration player with reference to his service time in MLB. MLB uses the salary arbitration system known as the final offer arbitration. Under the existing collective bargaining agreement between MLB and MLBPA, players are divided into three categories:( 1) pre-arbitration players;( 2) wage arbitration players; and( 3) free agents. An eligible pre-arbitration player typically earns somewhere around the minimum wage of the major league during the first three years of service. Exploring his personal life, reportedly, he is not married. However, he is engaged to his fiance, Amanda Debus. Further, Amanda was first to announce their engagement via her Instagram account. As per her post, she revealed that she met Chad when she was in 6th grade and since then the couple are known to each other. Chad and Amanda started dating after they joined high school. The couple both attended the University of Delaware where Amanda graduated with a degree in Health and Physical Education. Hi everyone! My name is Amanda Debus (@realadebus) and my fiancé is RHP Chad Kuhl (@chad_kuhl) with the Pittsburgh Pirates. We met way back when in 6th grade and dated off and on throughout middle and high school. Senior year, he asked me to be his girlfriend for the very last time. We both went to college at the University of Delaware (home of the Fighting #bluehens! ), where I graduated with a degree in Health and Physical Education. He was drafted by the Pirates during his junior year and our life in the minor leagues took off. The first few seasons were hard for us, but we quickly learned how to survive the distance. Short Season A ball took us to Jamestown, NY where Chad was a Jamestown Jammer. The next season he was in High A, playing in Bradenton, FL with the Bradenton Marauders. The 2015 season was spent mostly in “Toon-town,” Altoona, PA with the AA team, Altoona Curve — this was also the first season I stayed with Chad during the summer. We were staying with the most wonderful roommates (???? @abstalls @amsmith929 @victoriaaepli), we survived the apartment flooding twice, and we learned how to handle an engine overheating on a 5 hour drive to an away game. The Curve made it to the playoffs that year, and after Chad started in the last game, and while the Curve lost, Chad was told after that game that he was promoted to AAA. Chad finished the season with the Indianapolis Indians, who also made it to the playoffs. 2016 was a big year for us. Chad started the year back in Indy, and was doing well. In June, I was crowned Miss Delaware 2016 — Chad watched the entire competition via FaceTime from the clubhouse. While I was filling out paperwork for Miss America, Chad calls me and asks if I can get the weekend off to come see him pitch in Pittsburgh. He made his Major League Debut on June 26, 2016 — his first big league game and first big league win! The rest of the season he was up and down between the majors and AAA, but in August of that year they brought him up for good. During the 2016 off season, Chad and I went on a trip to Hershey, PA where we got engaged. He planned everything to a T — (continue reading below) ?? Chad proposed his girlfriend on a trip to Hershey, PA, where the couple got engaged. His to-be-wife also revealed that the couple is planning for their beautiful wedding. Further, exploring Chad's social media account, he has posted a lot of pictures along with his fiance and this concludes that the couple is enjoying a smooth relationship. Talking about his body measurement, the Famous MLB star is 6 feet 2 inches in height and weighs around 98 kg. In the ninth round of the 2013 Major League Baseball draft, the Pittsburgh Pirates drafted Chad. He made his professional debut with the Jamestown Jammers after signing and spent all of 2013 there, going 3- 4 in 13 starts with a 2.11 ERA. Kuhl was recalled by Indianapolis on June 26, 2016, made his major league debut and got his first win the same night as the Los Angeles Dodgers were defeated by the Pirates, 4- 3. Kuhl pitched five innings, allowing his debut with three runs, four hits and four walks with five strikeouts. Kuhl spent the entire 2017 season with Pirates. Kuhl began 31 games and posted a record of 8- 11 with an ERA of 4.35. Kuhl was placed on the disabled list with a strain on the right forearm on June 30, 2018. Currently, he is playing along with his star team-mates such as Lonnie Chisenhall, Chad Kuhl and many more.